In this biographical narrative, a middle school student describes a favorite resident that she visits. In the inter generational program at McKinley Middle School, my resident’s name is Edith Marie Chapman. She has four grandchildren, all boys. She likes to stay with them and enjoys talking about them. Terry is 15 years old. Gary and Jeff are twins, they are 17 years old. Eric is 22 years old. My Resident told me a special memory about her twin grandsons. They are Gary and Jeff. When they were nine years old, they went to Newark, New Jersey to visit her. In Chicago, the weather was great but in Newark, they had heavy rain, so the plan landed in New York City, and Edith was worried about them. They came in a limo with the pilot to Newark. It was their first plane ride alone. They did not want to go on another place for a long time. Edith has enjoyed taking her grandchildren to many different places. She still writes letters and cards to them and gives them presents. She loves being a grandparent because now she does’nt have to deal with their everyday problems. She has a very good relationship with them, and she meets them once every two weeks. They keep her young in spirit. My Resident Edith by Thoughtful Learning is licensed under a Creative Commons Attribution-NonCommercial-ShareAlike 4.0 International License. 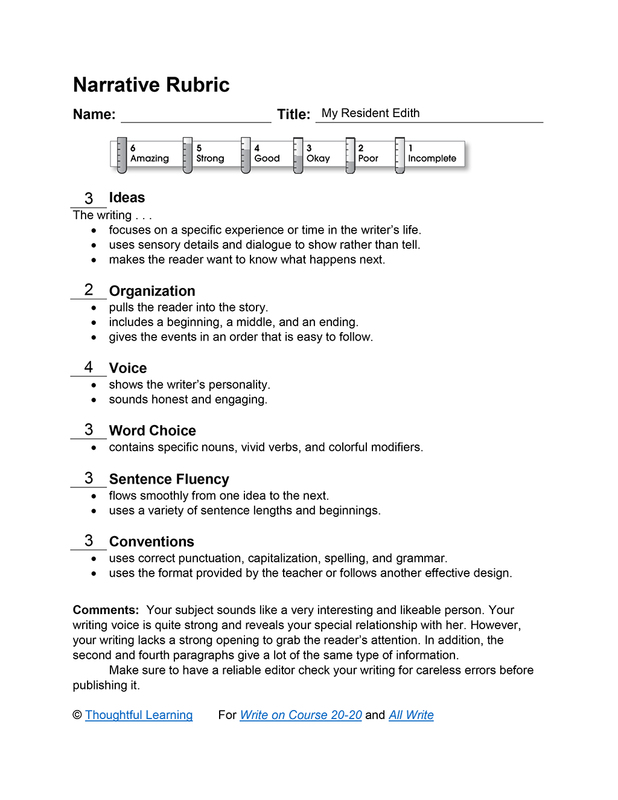 Based on a work at k12.thoughtfullearning.com/assessmentmodels/my-resident-edith.